CHEVY vs DODGE Mud Trucks – The Ultimate Tug Of War! A Tug of war is a sport that directly puts two teams, or in this case, a two monstrous mud trucks against each other in a test of strength. Each vehicle pulls on opposite ends of a rope, with the goal being to bring the rope a certain distance in one direction against the force of the opposing vehicle’s pull. We’ve seen many tug of war videos, but nothing quite like this. In the video below, two muster trucks, one Chevy, the other Dodge are battling each other in the ultimate test of straight. This video is filmed during the “Trucks Gone Wild” event at Bricks Offroad Park. 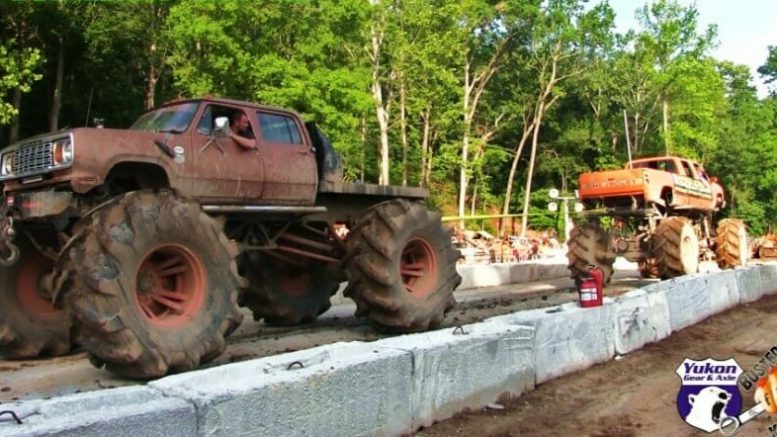 See what happens when these two Monster Mud Trucks battle it out in a tug of war.